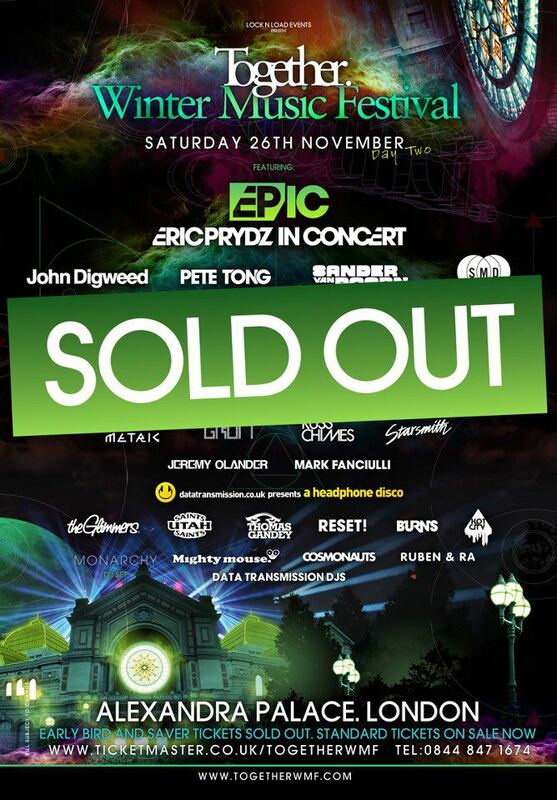 The set of Eric Prydz’ EPIC show which took place on the 26 Novemeber at Alexandra Palace in London has just been uploaded on his soundcloud account. Recently it’s not avaibale for download but this set is so much worth to listen that it’s not a big deal and maybe there will be the chance to download it later. Another news for today is, that Eric Prydz has signed a contract with Virgin Records which is part of the EMI group. We started a discussion on our facebook wall as we heard different opportunites about this contract so far and we want to know what you are thinking about this deal. Do you think this won’t effect Eric and his behaviour with his productions or do you think that this could become another commercial sell out? In our opinion, this is the right step and Eric and his management definitely know what they want to do and what they don’t want to do. This will of course get bigger but the quality of Eric’s stuff won’t suffer!